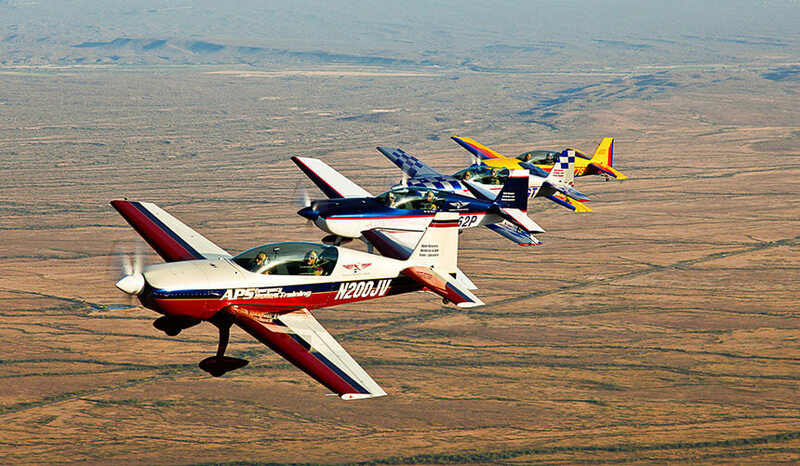 Whether your interest in formation flight stems from a need to conduct flight test chase, air-to-air photography, ferry multiple aircraft cross-country, or just experience the manual handling challenges inherent in maneuvering relative to another aircraft, APS can introduce you to the art and science of formation flight. The combination of APS Instructor Pilot expertise in formation operations combined with the excellent formation handling characteristics of the Extra 300L make APS the best place to learn the fundamentals of formation safety and flight discipline. Scheduling of pilots in pairs may be required.